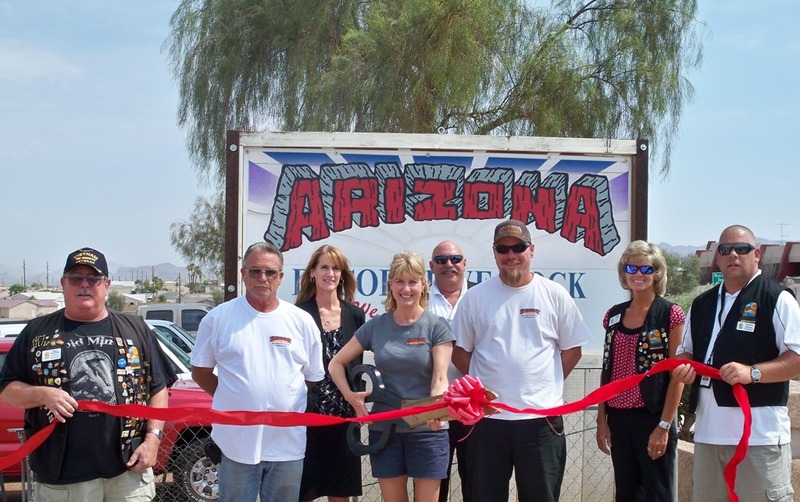 The Lake Havasu Area Chamber Ambassadors held a ribbon cutting ceremony for Arizona Decorative Rock celebrating its 15 year anniversary. Attending the ribbon cutting from left to right were Mike Schuler, Tim Ames, Laura Prahl, Terri McCue, Lucky Atkinson, Paul Zynda, Denise Johnk, and Dennis Weuve. Arizona Decorative Rock would like to thank all of its wonderful customers for supporting the business over the years and making this anniversary possible. Arizona Decorative Rock offers a wide variety of landscaping materials, to see their inventory visit them at 1141 N. Lake Havasu Ave.